Serving King George and surrounding areas. Compassionate, quality veterinary care for over 20 years. We highly recommend that your pet is seen by a veterinarian yearly, just as you do with your doctor. There are vaccinations and testing that we offer and recommend yearly for both canines and felines. Our surgical suite has state-of-the-art monitoring and anesthetic equipment. Your pet will receive the best care by our compassionate surgical team when they come in for surgery. 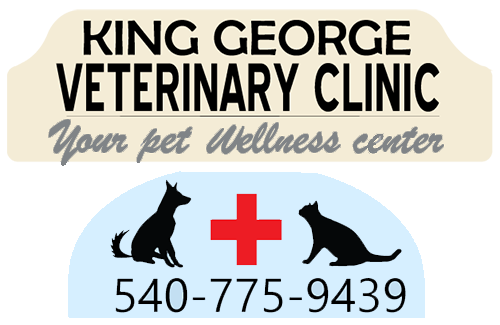 King George Veterinary Clinic is a full-service companion animal hospital whose mission is to always strive to do our very best to provide your pet with the quality veterinary care it deserves in a compassionate environment. Since 1995, we have been providing professional, affordable, and quality veterinary care to King George County and surrounding areas such as Caroline, Westmoreland, Warsaw, Colonial Beach, Dahlgren, Southern Maryland, and Fredericksburg. Our veterinarians and veterinary staff stress the importance of an annual physical examination. Thorough check-ups and preventive care can help alleviate serious health problems. We offer a wide range of veterinary services to keep your four-legged family members feeling their best. Our services include veterinary care, digital radiology, boarding, daycare, and bath for dogs and cats. 1 in 3 pets goes missing in its lifetime? Without ID 90% of pets never return home? Microchipping provides the peace of mind that you've given your pet the permanent, lifetime ID he needs for the best chance to come home.